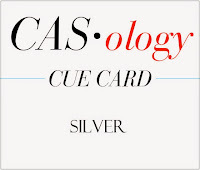 This week's CASology Cue Card is Silver! There are so many ways to interpret this cue card, but I went with a Silver wedding anniversary. We're at 17 1/2 years - well on my way to my silver crown! Can't wait! While I'm waiting, I cut the letters out with Memory Box Urban Lower Case alphabet and added some tiny stars. Then I started to try and get a good photo! Not easy to capture, especially with cloudy grey weather! Anyway, you get the idea! 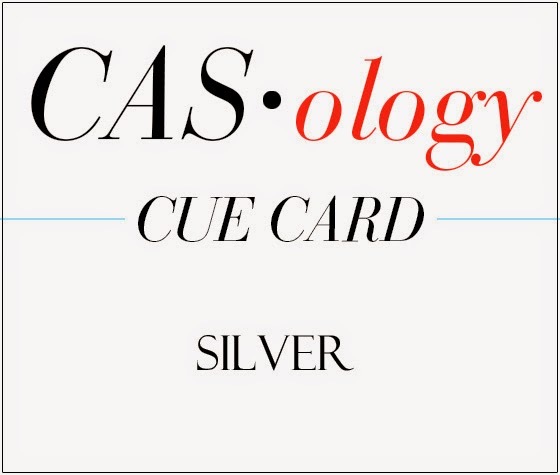 Now it's your turn - which way will this Cue Card take you? Be sure to check out the rest of the DT blogs for more silver inspiration! Hi Ardyth, I really love your design. It's seriously clean and I am inspired to make something in that style. :) Thanks for dropping by at my site! Cheers! 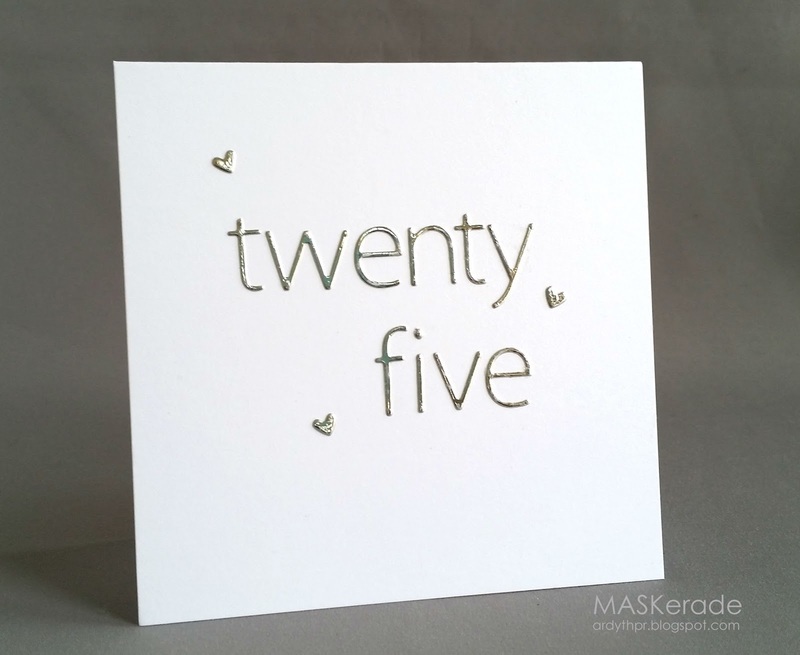 This card is just stunning in its simplicity! This is, of course, stunning and perfectly CAS. And, thanks for the facts about anniversaries. I did not know that. We are at 18 years, and I'll tell DH to start saving up for my crown. Such a stunning, simple design. Love those tiny little hearts. Congrats on the 17 1/2 years! That's a true accomplishment. Oh!! This is divine!! Love the simple design and the symbolism behind it!! Great idea! Love the simplicity and love how well the dies cuts the wee, slim lines of the letters - very impressive! I LOve that font!! Gorgeous card, Ardyth!